I didn’t know until last two years that asbestos was found to be a hazard and not anymore the miracle mineral that it used to be. I’ve known this mineral has been used in industries and buildings for many wonderful reasons. 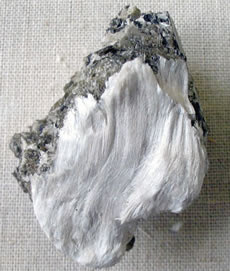 Asbestos diminish heat that’s why even residential houses and workplaces use this to minimize the use of air conditioners. Who would ever think in the past that this miracle mineral would cause too much harm to human beings as exposure to this mineral would cause sickness like lung cancer and mesothelioma. I’ve read news about people who worked in industries who used asbestos and I sympathize with them as exposure to asbestos caused them sickness that will take their lives eventually. I just hope that those industries they worked for will help them in anyway they can.